Cook 18 jumbo pasta shells as directed on package until al dente. Drain; rinse with cold water. In 2-quart saucepan, melt 2 tablespoons unsalted butter over medium heat; add 2 tablespoons all-purpose flour. 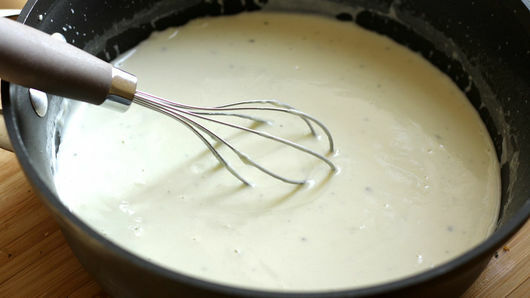 Beat with whisk; cook 1 minute. Beat in 2 cups whole milk. Heat to boiling; reduce heat to simmering. Cook until sauce thickens, stirring frequently. Stir in 4 oz crumbled blue cheese until melted. Season to taste with salt and pepper. 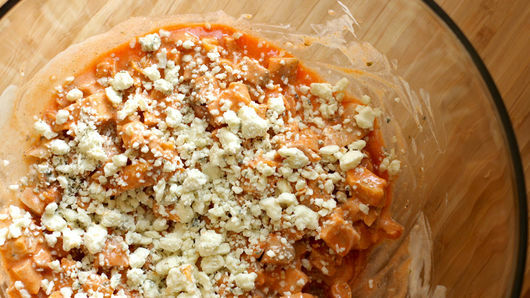 In medium bowl, mix 2 cups diced deli rotisserie chicken, 1/2 cup Frank’s™ RedHot™ sauce, 1/2 cup of the blue cheese sauce and 2 oz crumbled blue cheese. Add 1/2 cup of the blue cheese sauce to bottom of baking dish. 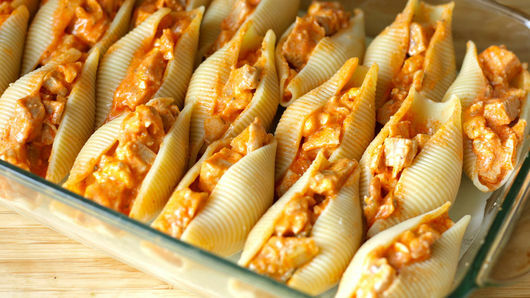 Divide chicken filling among shells, about 2 tablespoons each, and place in baking dish. Pour remaining blue cheese mixture over top of stuffed shells. 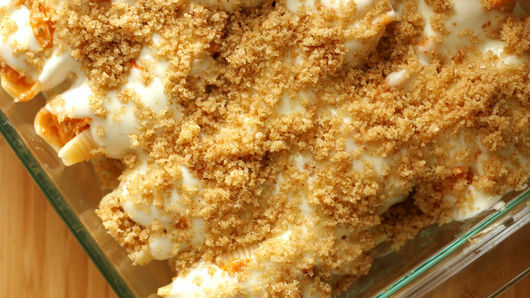 If desired, melt 1 tablespoon butter, and mix with 1/4 cup bread crumbs; sprinkle over top of dish. 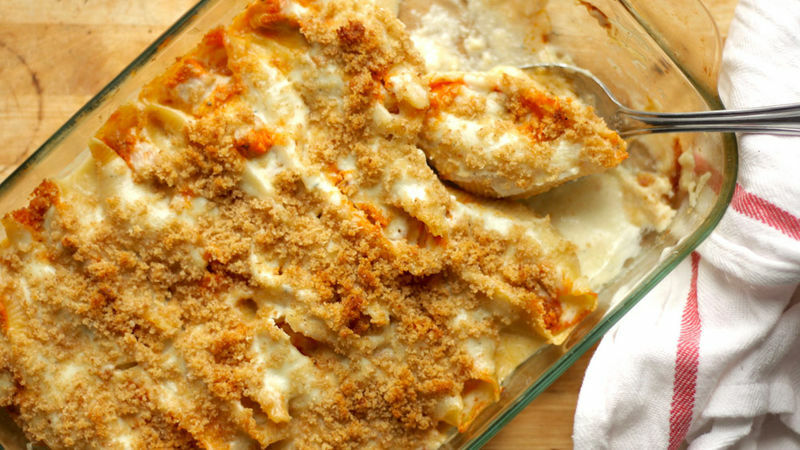 Bake 20 to 30 minutes or until sauce is bubbling and bread crumbs are lightly browned. 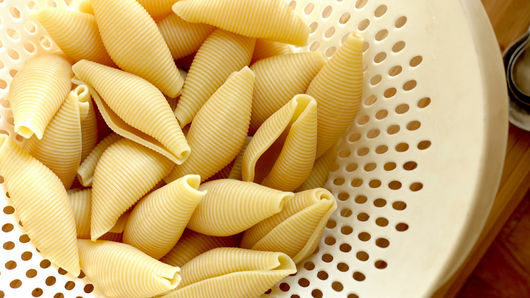 You may want to cook a few extra pasta shells in case they tear as you assemble the dish.